For sofrito, simmer tomatoes, bell peppers, onions and garlic until tender, then puree. Next, combine additional burger sauce ingredients to sofrito and adjust seasoning as needed. Cook beef patty with cheddar until medium rare. 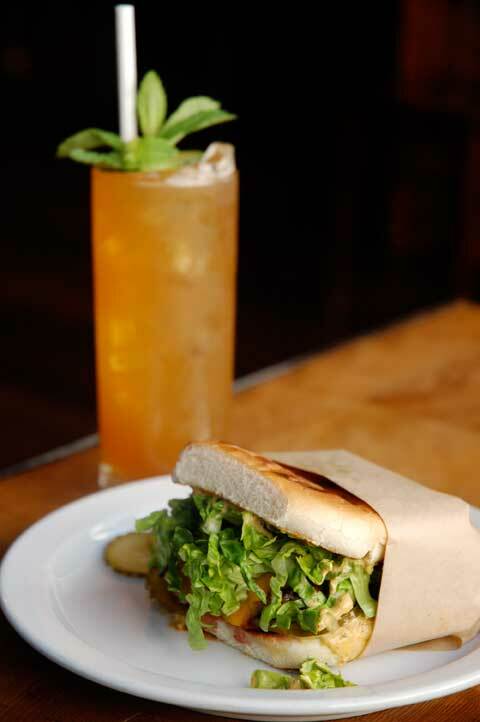 Top with lettuce, pickles and a generous dollop of special house sauce and serve with Pimms Cup (recipe below). Muddle the cucumber in a mixing glass. Add all ingredients except seltzer. Add ice, shake, double strain into a Collins glass. Add seltzer and ice. Garnish with a cucumber slice and a mint crown.